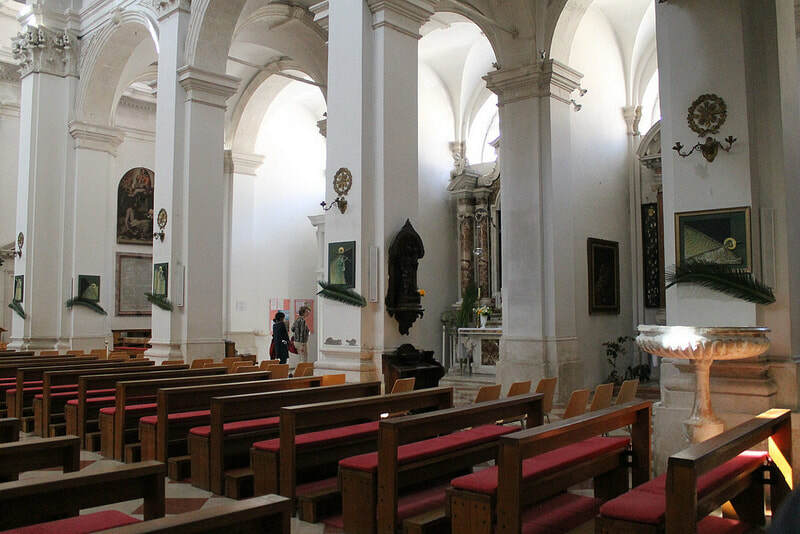 Croatia - Religion - Where in Our World? 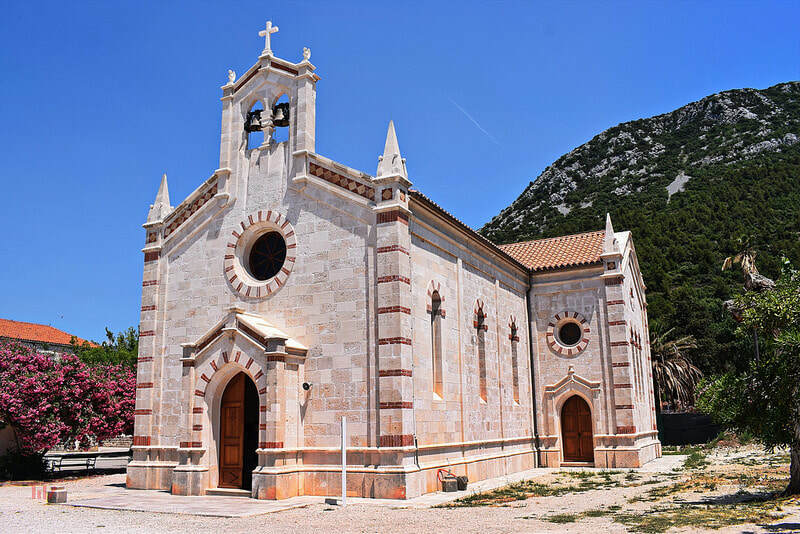 The majority religion in Croatia is Catholicism but there are also members of the Eastern Orthodox Church. 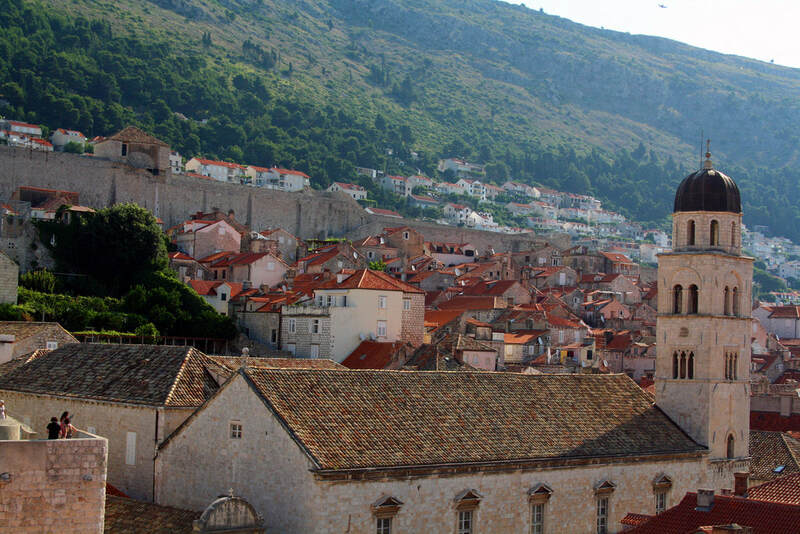 There are also Muslims and Protestants living in Croatia. 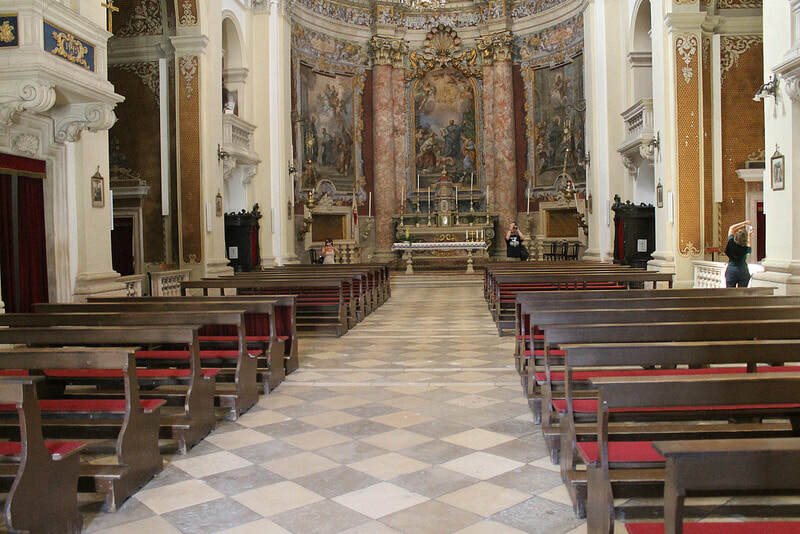 There are beautiful churches in Croatia. Some churches are very simple like this one. Spires can be seen above other buildings in the city. 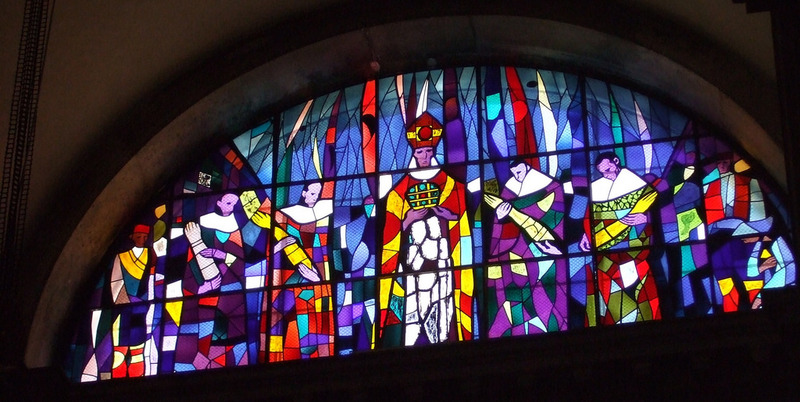 Stained glass and decorated windows can be seen in many churches around the country. These can be very elaborate or simple. 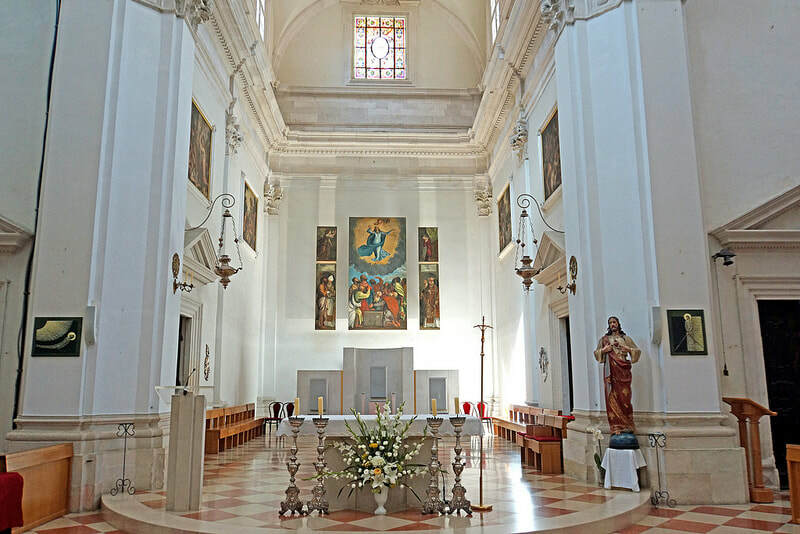 The inside of the church can be quite simple but in large cathedrals the inside can be decorated with beautiful paintings. Some cathedrals have beautiful murals like this one. Gold is used to make the buildings more beautiful. There are wooden seats where people sit during mass. There is an aisle running down the middle of the church. 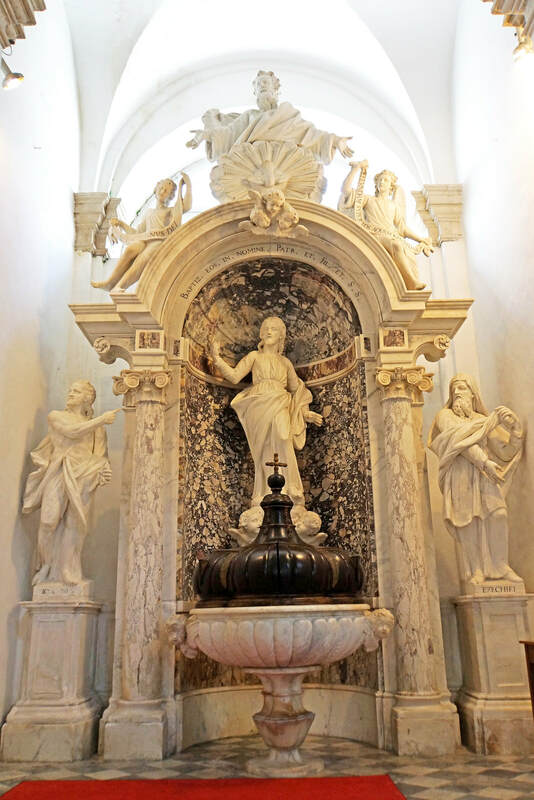 There is an altar at the top of the church where the priest says mass. 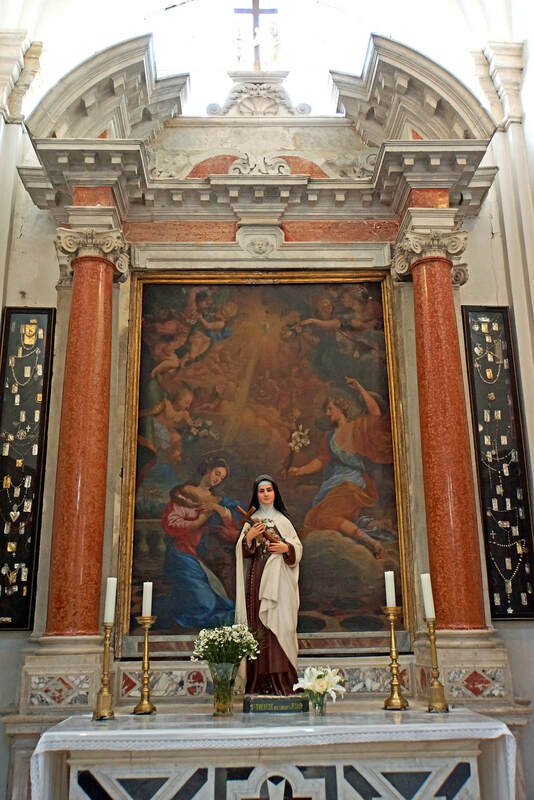 In Catholic churches you often see statues of the Virgin Mary and Jesus. There will also be a crucifix. 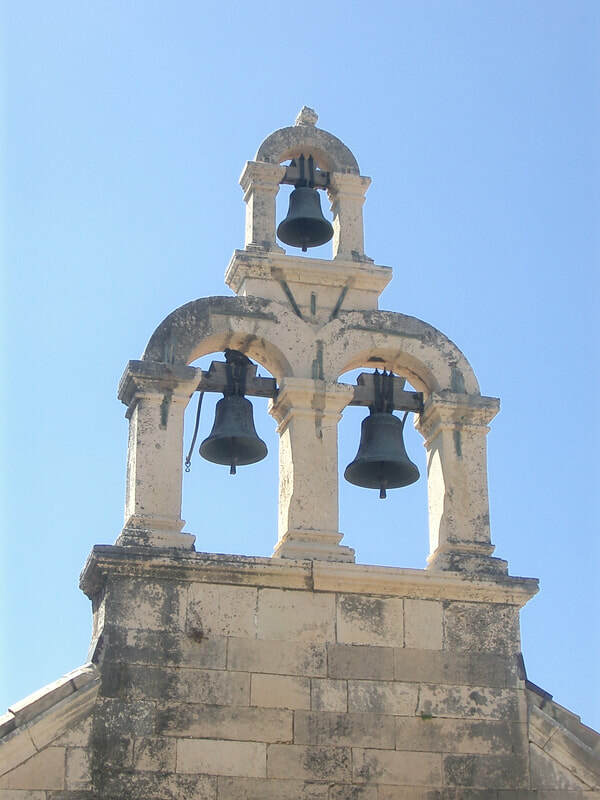 A church bell is rung just before mass so that people know mass is about to begin. 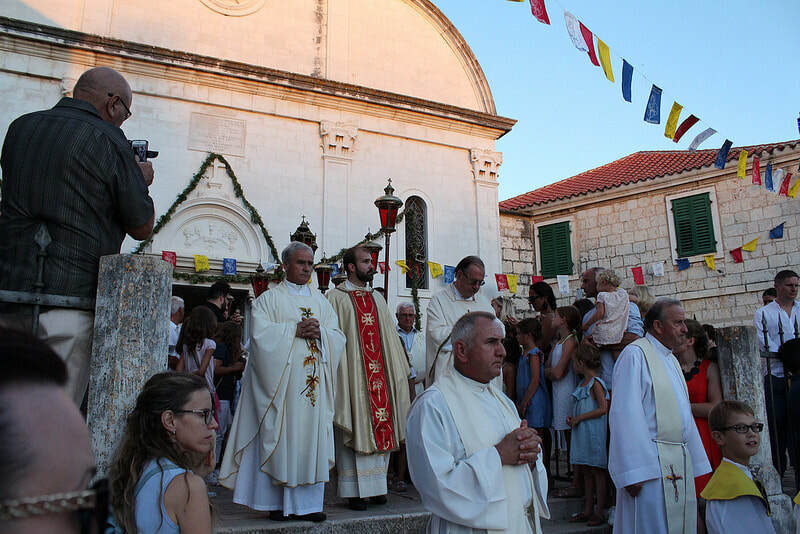 A lot of the festivals in Croatia are religious. Sometimes Mass is said outside. For All Saints Day families go to the graveyards to decorate the headstones with flowers and candles. A passion procession is the performed on the island of Hvar each Easter. 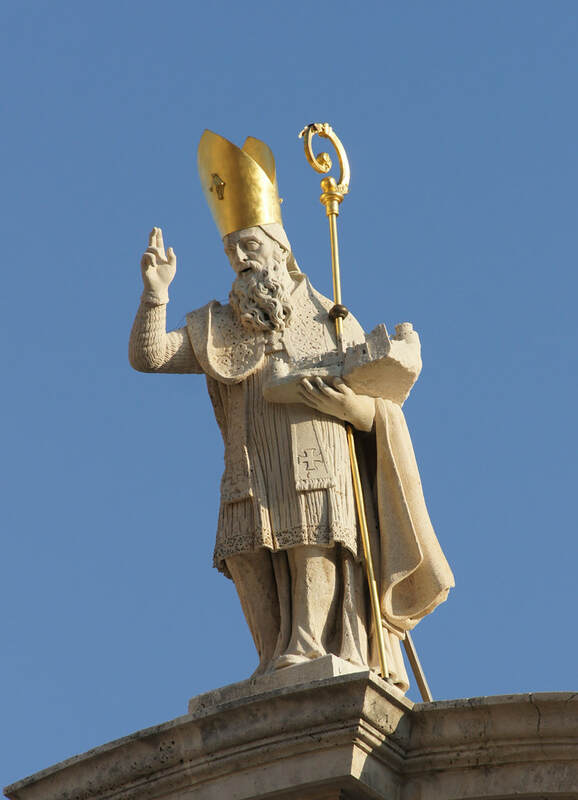 Saint Blaise is the patron saint of Dubrovnik. He is also the patron saint of throat illnesses. His feast day is on the 3rd of February. Throats are blessed on this day.